Louisiana was named after Louis XIV, King of France. Before the American influx and statehood at the beginning of the 19th century, the territory of current Louisiana State had been a Spanish and French colony. Louisiana's capital is Baton Rouge and largest city is New Orleans. Louisiana is home of 8 private universities including the Tulane University, Loyola University New Orleans, and Xavier University of Louisiana. Louisiana maintains the Louisiana State University System with campuses at Alexandria, Eunice, Shreveport, and New Orleans. 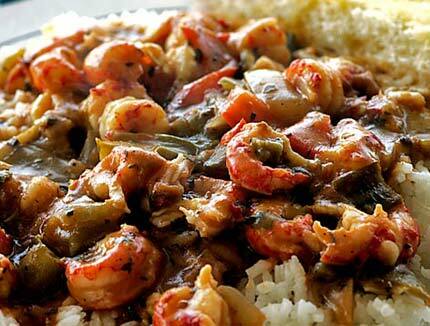 Louisiana Cajun and Creole cuisine. Here is a crawfish and shrimp dish. Southeastern Louisiana University, BS Mechanical Engineering; Alternative Teacher Certification, 6-12 Mathematics, iTeach Louisiana Hi, I'm Beth. I've tutored regularly for seven years in all levels of math, english, and science. I also have experience working with study skills in professional setting. I'm a recent graduate from Southern University and A & M College here in Baton Rouge, La. I majored in Elementary Education and minored in Sped- Mild to moderate. Greetings, I am a former Director of Educational Technology at a local private school and a current college business and general education instructor. Hi, I'm Allison C. I am currently a teacher at a local elementary school. I teach 4th and 5th ELA and Social Studies. I have a B.S. in Mass Communications from McNeese. My name is Brooke and I graduated with a Bachelor's degree in Management of Information Systems. I played college golf on scholarship at University of Central Arkansas. As we all know, knowledge is the key to success and far more valuable when shared. Hence, teaching is especially important as it pours knowledge into others.